What we do here is gentle problem solving - by bringing understanding, happiness and healing to the mind, body and spirit of both horse and person. Check us out first with our free program here. 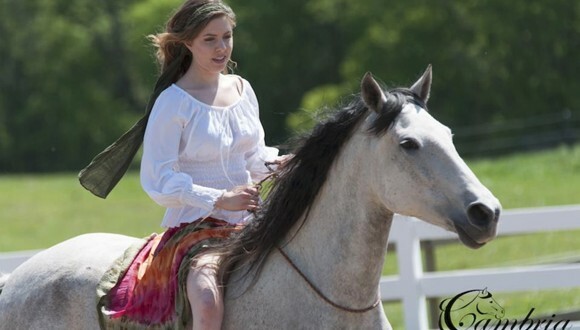 Hannah from the USA (pictured above): A year ago I couldn't even catch my horse. And then I met Jenny Pearce—embarked on her program—and began glimpsing the beauty of pure connection with horses that I’d only dreamed of. Valezka a beginner rider from Cockatoo about her first trail ride on her new young horse: "My seat was still glued in and my body naturally flowed with her and we stayed together. This was my very first shy on any horse"
Corey Mindlin from New Zealand: “If you want to LEARN “feel” and LEARN how to open your heart to reveal all the skills you have inside you to be on a par with all the great riders and great horsemen, there is no other way that I am aware of to do that, to LEARN that, than by taking one of Jenny’s meticulously, brilliantly constructed online courses." Sandra Hagan from Outback Australia: "Without practising or even thinking about it, the riding position has become automatic - kind of cool, as most things I have to repeat, work hard at to finally get results and learn, before it becomes a habit." Narel Wilson from New South Wales: "I found a powerful new riding position I had never experienced before, despite being a rider for 30 years." A Quiet Mind is interwoven throughout all of Jenny’s work and is one of the keys to the beautiful outcomes students enjoy. 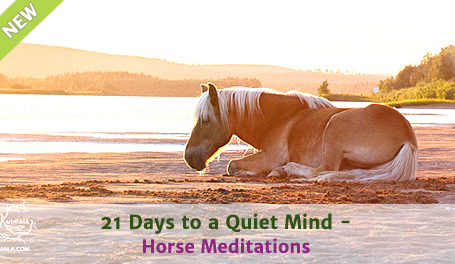 Jenny has developed this very practical program to help you develop your Quiet Mind. 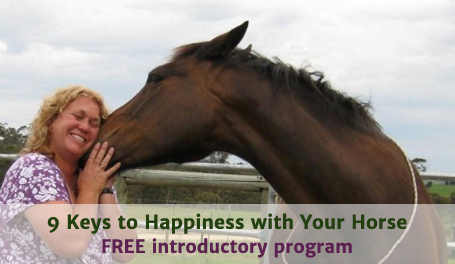 These FREE LESSONS will start you on a journey to the kind of “feel” that all great riders and handlers have, that is responsible for that gorgeous One-ness that you see between some horses and their riders. We cover deeper connection, communication, confidence and lack of confidence, co-operation, motivation, the different horse personalities and a simple but powerful technique for helping your horse to heal emotionally and then physically. ALL FREE!